This is the October 19, 2015 edition of Left, Right and You! 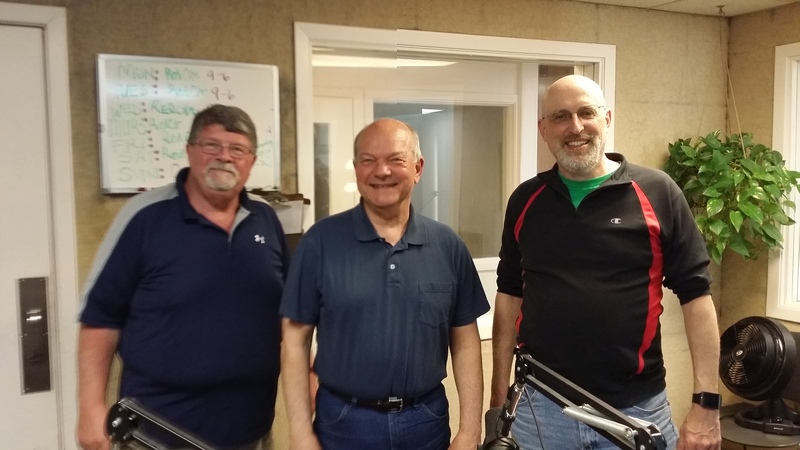 Of course, Larry and I want to thank Elgin Mayor Dave Kaptain for sitting in for the full hour today. Ain’t it amazing what you can actually learn when you drop the conspiracy theories and get it right from the horses mouth. I understand the truth isn’t nearly as fun as making things up, but that’s what real reporting is all about. ← Mayor Dave Kaptain today on Left, Right and You! 1) Why does he insist on communicating to his followers as “Citizens” rather than residents. Many people find this language as code-speak for racism, trying to marginalize the Hispanic population (legal residents & undocumented). I could give another 30 examples of similar conduct, but I’d really like to hear Councilman Prigge say something welcoming to Hispanics. 2) Does he find ANY value to ANY green, environmentally friendly or sustainable practice? His most recent diatribe, for example, is against our City’s electrical aggregation contract, He railed against a 100% renewable energy contract (still lower than the ComEd rate) because it is very slightly higher than the lowest possible bid. I could give another 30 examples of Environmental bashing, but I’d really like to hear Councilman Prigge say something complimentary to an environmentally friendly program. 3) Does blatant attacks on fellow councilmembers make it easier for him to get votes on issues he brings up for discussion? For example, calling his peers cronies & corrupt for “giving away patronage parking”. I could give 30 examples of similar conduct. Todd: I’ll give you my answers here in writing and, if asked on-air, at that time, too. 1. Because it is citizens I serve. (Although I do error and say, “residents” once in awhile) I also use “taxpayers” as often as “citizens.” I do not and will not serve illegal aliens while serving on the council. In fact, in my six years of service I have never heard anyone on the council say they are representing illegal aliens in a motion or a vote. Besides, my constituents want it that way. They have told me so many, many times. 2. I do find value in some green efforts as long as they are cost effective, serve more than a handful of citizens and are not furthering advertising and marketing schemes off of my citizen’s wallets. The electric car chargers in our civic parking lots was an example of such activity. Issues I discuss should be determined on their value to the citizens we serve not by who discusses them. Those who may engage in that type of contrary behavior are using their seat on the dais as a throne and should be held accountable. I support many issues brought up by councilmembers I routinely disagree with if they are good for the citizens I serve. The decriminalization of marijuana in Cook County’s portion of Elgin is a recent example. I would love to see all 30 of your examples noted in both questions. Please post or forward ASAP. I’m surprised you want a list, this isn’t easy sound-bite analysis. Looking over the topics, I must admit that I over-stated my 30 estimate. I’ve got just 20. These are votes or public actions which target Hispanics or the Hispanic community adversely (in no particular order). 1)	“Citizens and Taxpayers” are the only constituents you feel should be represented (which is a lot like the original founding fathers limiting voting to White, Male, Landowners). We’ve discussed this before and you know my opinion. By taxpayer, I must assume you mean people that file income taxes or pay property taxes. By that reckoning, my wife and children don’t qualify. Nor do my neighbors who are legal residents (non-citizens), renters, the homeless, or my grandmother. This language is heartwarming to the AFLA crowd, but alienates the Hispanic community. 2)	Appointment to fill vacant City Council seat discussion. You objected to any preference for a Hispanic candidate (affirmative action) despite the fact there was no Hispanic representation in the city council for a city which is majority Hispanic. 3)	Rose Martinez’s (the only Hispanic Council-member) swearing in ceremony for City Council. Here, in front of the public, her immediate family and many friends you railed against her appointment calling her unqualified, undeserving, and contrary to the wishes of the public. I found your speech profoundly shameful as did many others. In point of fact, she was appointed by a majority of democratically elected officials and was subsequently re-elected by the public. 4)	You posted a request on social media for the public to call the police if they see a Hispanic Male of medium build. When the police department actually provided details which could be helpful in identifying the suspect, you ignored that. Just kept the original racial profiling request. 5)	You voted against the Mighty Acorn program partnership with the Conservation Foundation. This program served largely Hispanic children at Hillcrest Elementary near the Hawthorn Hills Nature Center. Your objection was that U46 should pay to bus the kids to Hawthorne even though it was pointed out the kids would be walking to the site. 6)	You voted against the liquor license for a new Mexican restaurant at the old La Quebrada. 7)	You publicly railed against the visit by foreign dignitaries from Caquenness Chile (a country full of Hispanics) DURING THEIR VISIT because the City would pay for a few meals and gas. In my view, your actions actively worked to sabotage trade and cultural ties despite the fact our City proclaimed them a “Sister City”. 8)	You opposed the Citizen survey because it would ask residents what they want. You stated a preference that only registered voters should be permitted to provide feedback to the city. Many Hispanics in our community are not registered to vote. Guess what? You can live in this country legally and not be registered to vote! 9)	Your opposition to our Police Department making a recruiting trip because it was Puerto Rico. 10)	Your opposition to Kane County’s Pace Ride in Kane program which serves the poor (and largely minority) population. 11)	Your opposition to the Elgin Housing Authority’s reconstruction of public housing which serves the poor (and largely minority) population. 12)	Your opposition to the Elgin Math & Science Academy (Charter school) lease agreement. Our public elementary schools in Elgin are very segregated by race, there is no desegregation busing. If you live in the wrong neighborhood, you get stuck with a failed U46 elementary school (by Federal standards). EMSA would have provided a public option out. 13)	E-Verify. Yes, there are Hispanics living in this community that are undocumented. Your strident support for E-Verify drives up the unemployment rate and drives contract work out from local businesses. 14)	Your opposition to the Eastside Recreation Center which serves poor (largely minority) children. 15)	Your post pontificating the arrest and deportation of a criminal. Yes, an “illegal alien” was caught committing a crime and will be put in jail, then deported. That example does NOT mean that undocumented residents are thieves and rapists. The statistics clearly show they are less likely to commit felonies. 16)	Your opposition to the Diversity and Inclusion Strategic Plan adopted by the City. 17)	Your opposition to a Spanish language preference in city hiring. 18)	Your opposition to Cultural Arts grants. 19)	Your opposition to the Housing & Community Development Act of 1974 which provides Federal CDBG grant monies. 20)	Your opposition to the Neighborhood Stabilization Program, which provides Federal funding to help at-risk (largely minority) neighborhoods. Interesting show… But an audio note (maybe this is the station’s fault) the difference in level between your program and the news breaks is really annoying. It sounds like you guys need some compression too. Here are your answers. As a note, you are wrong on nearly half of your claims. 1. When there are issues before me that have a direct impact on taxpayer dollars, I say ‘taxpayers’ as they will be paying the bill. On issues involving citizens no matter if they are taxpayers, I say ‘citizens.’ Please prove your claim that saying these words “alienates the Hispanic community.” I assume the Greek and Laotian community are OK with that? 2. You’re wrong. I objected to the position being filled by anyone – my own Mother included. All stated in public, on the record at a council meeting or in the newspaper. As an aside, I sort of like the American fundamental idea that the voters get to decide who represents them in nearly all cases, not those who are looking for social creating and political favors later. 3. You’re wrong. Please prove your claim where I said she was “unqualified, undeserving” I do agree a majority of the citizens did not appreciate this pandering, political appointment. I believe a majority of citizens would be ashamed of the conduct of the council five who falsely assembled about 20 others under the cloak that they had any chance of being appointed. 5. Specifics, please. If what you say was true in that the children would be walking, why was there even a vote on busing? 6. I sure did. The reasons I stated are valid. I will not take risks when it comes to liquor establishments in Elgin if I am not comfortable with what I am being told. 7. You’re wrong. One a few fronts. First, there was ONE dignitary here from Caqueness Chile – a councilman. The rest were firefighters and news reporter – a few not even from the city of Cauquenes. My protest was vital to bringing the cost down as the original proposal called for the city manager to spend his maximum allowed without council approval of $20,000 for a whole host of visitors. There can be NO trade legally without U.S. Customs and the Federal government being involved past a case or two of wine, etc. As I have explained repeatedly, we have no Sister City arrangement with any city in Chile. None. They only received a non-binding, ceremonial proclamation that said so. We give those out routinely. 9) You’re wrong. I opposed the Puerto Rico recruiting trip because I am not convinced we have a shortage of police applicants within driving distance of Elgin. I would have opposed going to Canada, Ireland or even Iceland. How did that trip work out, anyway? Any new hires from there? 11) I did oppose that as it violated the zoning laws and jammed a large, hulking building 30-ft. from the sidewalk for only 3-4 more apartments in our most densely neighborhood in Elgin. It does serve the poor, for sure, so please prove your claim that at serves a “largely minority” population. 12) You’re wrong. I did oppose renting the Fox River Country Day School property to the charter school group at the rate of about 24-cents per sq. ft. but did endorse the Sports Way facility. Seems like the charter school people have vanished since the Day School property was taken out of the picture…wonder why. 13) I do endorse E-Verify as millions of Americans do for ALL who are hired. Are you assuming that all illegal aliens are Hispanics? Please say so, if you feel that way. There are Greeks, Irish, Polish and Swiss who are in this area as illegal aliens. I want their jobs. I want them going to people who are here legally. I am negatively impressed you are unhappy with my support of reducing the chances an illegal alien can take a job from a person who is here legally. 16. You may be confused. I did support the hiring of a very expensive conversation facilitator. We have staff people who can facilitate meetings and read books. Can you be more specific about your claim? 17. You are correct. I want the best people possible working for us and will not support leap-frogging the best for someone who speaks a foreign language. I prefer the best candidate possible. 18. I opposed them because the process is flawed. 19. You’re wrong. I voted against them in the past because we spent way too much money on two houses that could have been spent on 4-5 houses. That means less taxpayers and less income-eligible families were able to move in to our city.